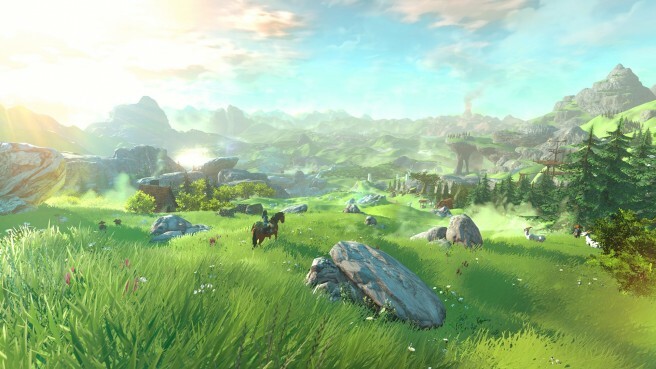 Zelda fans everywhere are on pins and needles hoping for more news on the upcoming Zelda game for the Wii U. In an interview with Zelda producer Eiji Aonuma, he makes some comments over the game that will surely increase the overwhelming hype as we learn more about Zelda Wii U. Click the jump to find out more. If the idea of improving already incredible visuals wasn’t enough, he also discusses the monster the character faced in the E3 trailer stating that “If an enemy like this appears, how would you beat it?” This strongly hints that this new edition to the Zelda franchise will do more to surprise the player and present challenges that will test you in ways never seen in the series. So with these comments does this make you more excited to see more about this game, or are you waiting for more? Let us know in the comments below.